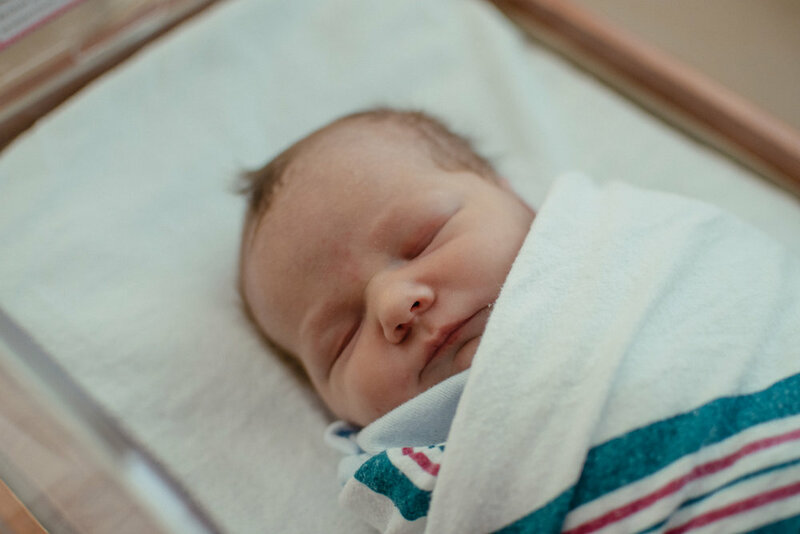 One of my favorite things to document and write about are my children's birth stories (you can read Micah's birth story here and Hannah's birth story here). 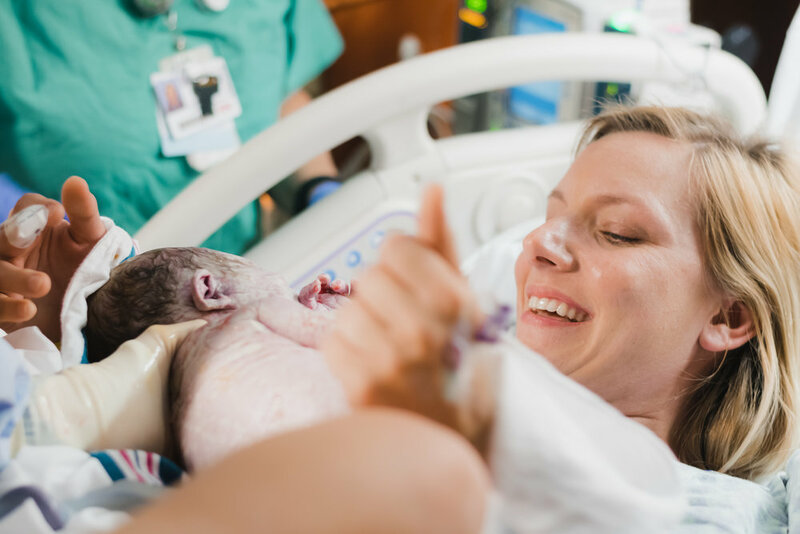 Giving birth is such a miraculous, euphoric experience. Each one, so very special and unique. The anticipation at the end of pregnancy is unreal - every twinge begs the question, "Is this IT?!" Until one day, it is. Chloe's birth story, for me, begins on Friday morning, December 1st. It was my 37 week doctor appointment and my first "cervical check" to see how my body was progressing. After two pregnancies with early dilation, I wasn't surprised to hear the doctor say that I was already 3-4cm and 75% effaced! I was surprised to hear her say that I needed to be at the hospital within 30 minutes of the next contraction I had. My other two labors were very short, 5 hours with Micah and 3 hours with Hannah, so they didn't want me to risk having this baby at home or in the car. I personally know of several super moms that have done this - but I wasn't sure I wanted to be one of them! After I walked out of that appointment, Josh and I started getting everything prepared and ready to rush to the hospital at a moment's notice. We had friends on call to help take care of Micah and Hannah. And since everything in Jacksonville is about a 20 minute drive, Josh didn't want to risk being too far away from me and never left my side. I started having definite signs of impending labor after my appointment. I know those cervical checks can "aggravate" things a little, so I expected them to go away by the next day. But all weekend long, the signs kept pointing to labor coming soon. I tried to stay busy to keep my mind occupied - and that probably progressed things a little more. On Monday, December 4th, I woke up around 1am with mild cramping. 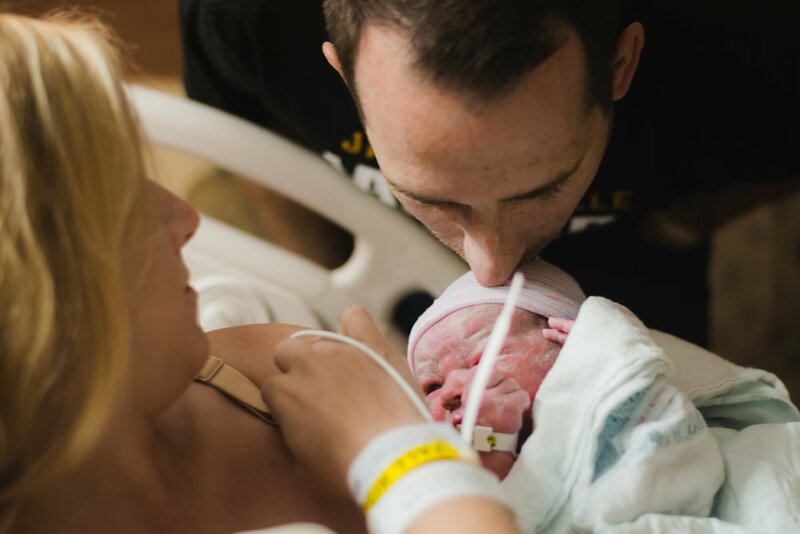 It was the same feeling I had when I went into labor naturally with Hannah (I was induced with Micah) and I remember thinking, "This could be it." After looking at the clock and realizing it was only 1am, I tried to go back to sleep. While laying there, I began to feel consistent contractions. I got out my handy, little contraction timer app - and was shocked when I realized they were only 1-2 minutes apart! My head started spinning with thoughts of what the doctor had said at my last appointment. Do I head to the hospital now?! I'm not in too much pain yet. Surely, I still have time. These contractions will have to get a lot worse before I am walking into that hospital! 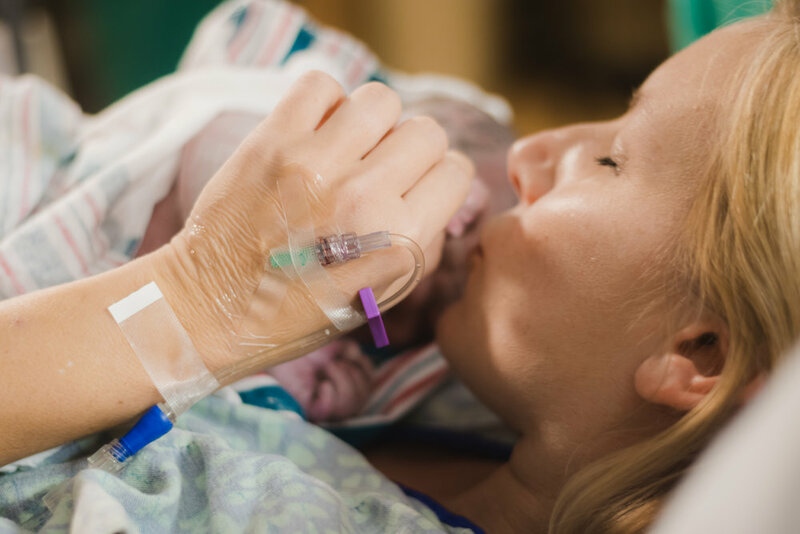 I was torn between knowing that I wasn't yet in active labor, but not knowing when and how fast active labor would come. I laid there for about two hours. No sleep. Just waiting for the really painful contractions to hit. 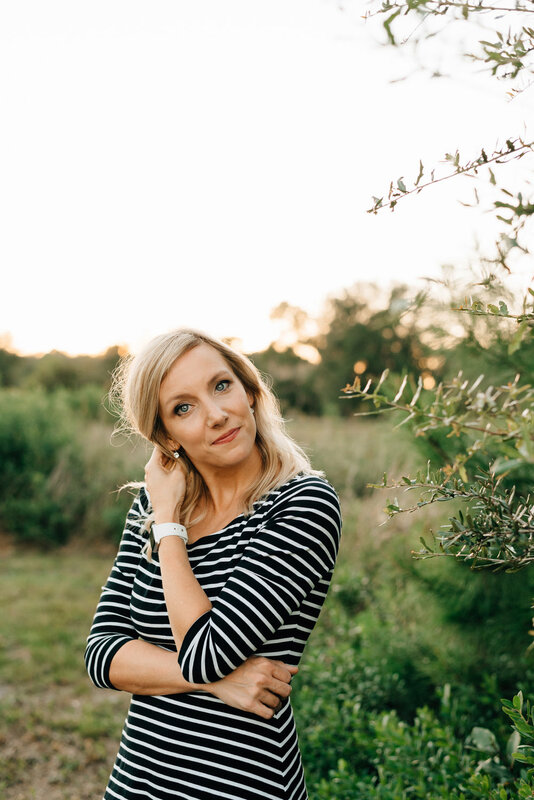 They were uncomfortable and I knew it was more than Braxton Hicks, so I decided to call our children's ministry leader, Sarah, who offered to come any time of the night to watch the kids. I called her around 2:30am and asked if she wouldn't mind coming to sleep on the couch just in case this turned into the real thing. Thankfully, she answered and was gracious enough to come right away! I felt better knowing she was there, and told her to get some rest and we would just wait to see what happened. 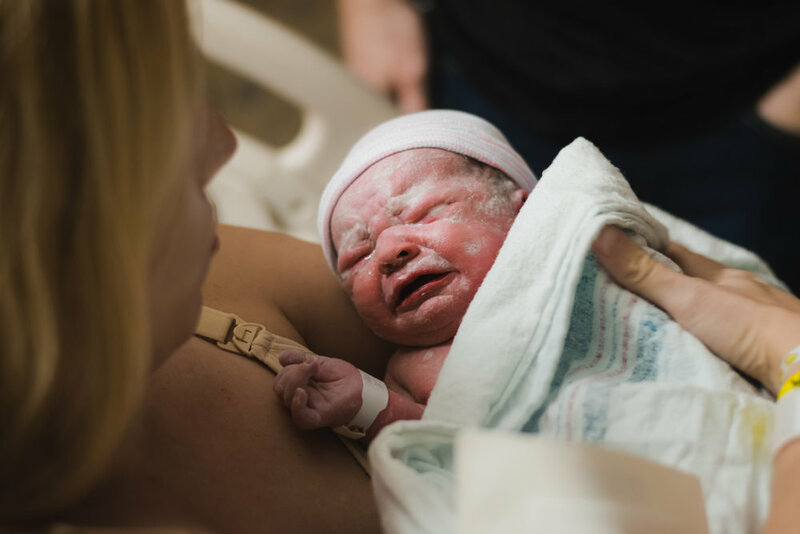 Now, even though this is my third baby - when it comes to labor, it is so unpredictable that you really don't feel like you can trust your own instincts! So, I turned to Google. I laid there, contractions still coming, and searched, "How long til active labor begins after consistent contractions?" As it turns out, Google doesn't have a definite answer on this either. But I did read a few "my contractions weren't very painful and then I was ready to push 10 minutes later!" stories that scared me enough to wake up Josh as soon as one, semi-painful, stronger contraction hit! At 4:30am, we were at the hospital. I was honestly prepared for them to check me and send me home, since I still wasn't in too much pain. To my surprise, the nurse said, "You are 4-5cm and 90%... yes girl, you are having this baby TODAY." It was a relief to hear her say! Throughout my entire pregnancy, I saw close to eight different doctors at my all-female OBGYN practice. They were all nice, but one stood out to me as my favorite. I guess I put her down as my "preferred doctor" at one of my appointments, because the nurse told me, "Guess what? Looks like your preferred doctor is about to switch over and be the on-call doctor at shift change!" I knew after she said that, that this was the right day to have Chloe. It was one of those confirmation moments that only the Lord can give you peace in. They were monitoring my contractions, and I was still having them every two minutes or so. 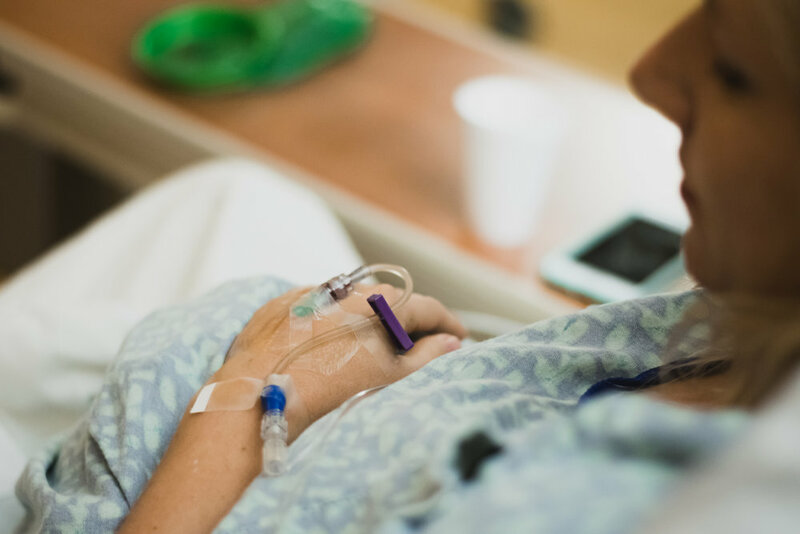 While we waited for the doctor to come and check on my progress, I asked if I could walk the halls and try to pick up the intensity of the contractions a little. Josh and I walked for about 45 minutes with little change. I went back to our room and we turned on the Hillsong Christmas album, The Peace Project (one of my favorites this season! ), and waited for the doctor to arrive. When she came, she said that my water was cushioning the contractions and that she could break my water to get things moving. She also said that if I was considering an epidural I would need to go ahead and get one, since things would intensify quickly after that. I have always had such positive experiences with the epidural relaxing my body and helping me progress quickly, so I went ahead with it. Turns out, this epidural was my favorite so far! I had full control of my legs and could feel every contraction that came - just as I had been before they broke my water. The nurse told me that this meant it was a "good epidural," since I would still have the ability to feel when and where to push. After the epidural, they broke my water and gave me a low dosage of pitocin to kick my body into full gear. A couple of peaceful hours later, and Chloe was ready to meet us! I had texted my sister earlier to let her know we were at the hospital and had the spontaneous idea to ask her if she'd like to be in the room when Chloe was born! She got there just as I was about ready to push. My sister and I were only 7 weeks apart during our pregnancies and she had planned on having an all-natural birth, but found out at 39 weeks that her little girl was breech and would need to be delivered via c-section. My sister has always been fascinated with things that most people can't stomach to watch, so I knew she'd be able to handle it. It was so special to have her there and she was also able to capture some sweet photos for us! At 2:18pm, Chloe Anne Robinson was born. 7lbs 14oz and 19in long. She was our tiniest baby yet, but came out with the most hair! She was also covered in vernix, which let me know she was probably still a little early. But thankfully, was completely healthy and had no issues at birth! As I was being wheeled out of the hospital, the nurse asked if we planned on having any more children (yes, she did). And the truth is, we don't know. It makes me sad to think of never being pregnant, giving birth and meeting a sweet new soul again. So I never feel right completely shutting that door. And if you know our story, you know that we had some trouble getting pregnant the first time and it's a privilege I never take for granted. All I can say for sure, is every child is a gift. 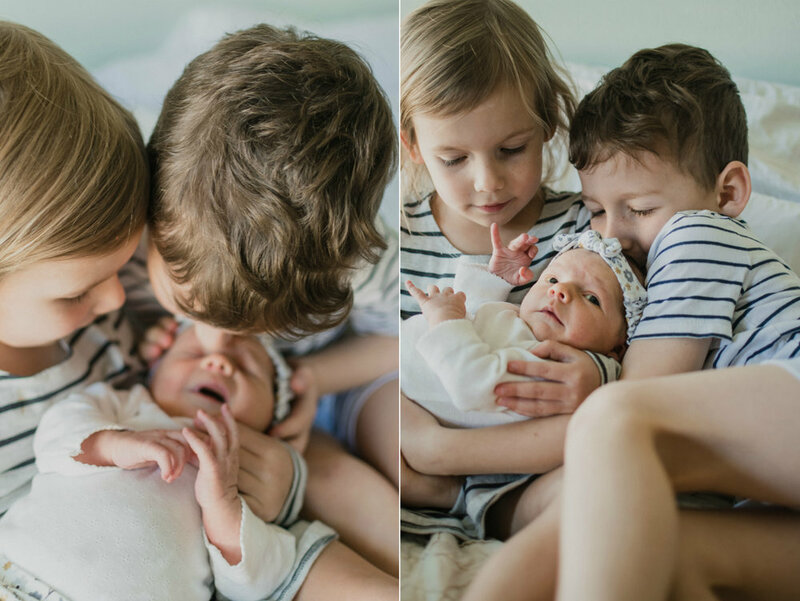 And nothing else compares to these smiles, these snuggles, these tear-your-heart-out moments of witnessing life on life happen before your eyes. 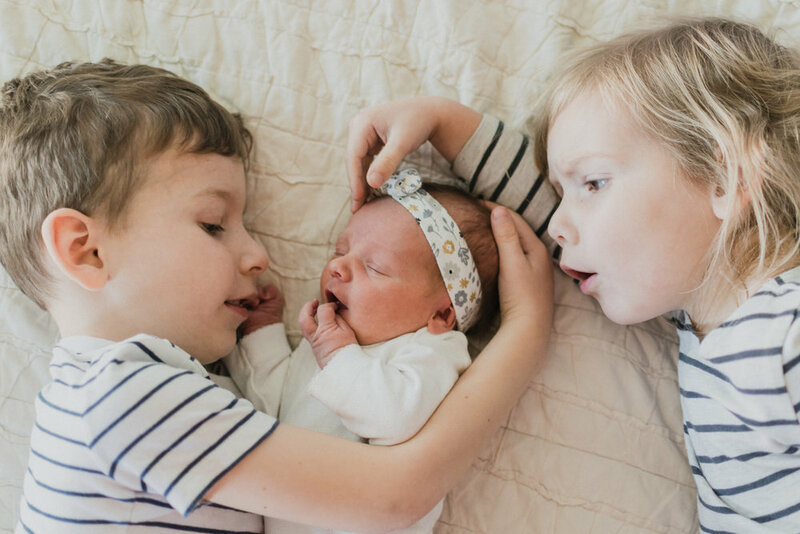 In five years, we have been blessed with three children. I never could have imagined or planned this for myself. He knew each one by name. And I am so honored to be called their mama.